Children between ages 8 and 10 spend around 5 1/2 hours every day using media, according to a media usage report by the Ganz Cooney Center and the Sesame Workshop. But in reality, they’re exposed to eight hours a day of media because they’re often multitasking–watching cartoons while using a gaming system. Meanwhile the American Academy of Pediatrics warns too much media can lead to attention problems, school difficulties, sleep and eating disorders and obesity. Technology can be useful in helping kids master valuable skills relevant in today’s digital workforce. There are also plenty of gadgets, tools and digital resources that can help kids learn. But there are life skills every child needs that go beyond technology. Here are five things kids should know without the help of a laptop or smartphone. With smartphones never being further away than arm’s reach, it is rare to see people looking up for a clock on the wall to tell the time. Being able to read a clock is a skill that is fading among the younger generation. Teach your kids the technique of telling time with an old-fashioned wall clock. Busy Teacher offers time telling worksheets illustrated with pictures and shows how to do simple tasks like writing the time and drawing the hands of the clocks. When they’ve got the hang of telling time, show them how to set a watch or clock to the correct time. Kids today see adults putting charges on credit cards and don’t know how to make change or count it back to ensure it’s correct. Children as young as age 4 can understand the concept of earning and saving money. Give them three clear jars and mark one for spending, one for saving and one for charity. Start a chore chart and let them earn an allowance that must be divided into their jars appropriately. When they save up for a big purchase, show them how to calculate how much they’ve earned and how much they still need. The sooner you teach your kids about money, the sooner they’ll develop the confidence to deal with financial matters themselves. GPS devices make it easy to get from point A to B and never get lost. But a GPS doesn’t work everywhere, and your kids may find themselves in a situation where they need to read a map. Start by showing them how the map on your GPS works and what the different colored lines mean. Next, get out a paper map and show them how it looks just about the same as a GPS map and how to read it. Give them a challenge like how to get to grandma’s house just by using a map and have them write out the directions. Believe it or not, entertaining yourself is a skill that should be learned and is quickly becoming a lost art. Technology gives kids plenty of options from video games to online chatting without much room for imagination. Make mandatory nature time and get the kids outdoors in your backyard or at a local state park. Let the kids figure out what to do to have their own fun without suggestions from the adults. See what they come up with and remind them how much fun they had the next time they’re bored and looking for something to do on their computer. Handwriting and crafting a letter are getting left by the wayside with the rise of technology. But every child should know how to write a handwritten note with a structure including an opening and closing. Show them an example of a letter you wrote and its purpose. Whether it was a thank you note or correspondence with a relative, tell your kids why it’s important to learn how to communicate without emojis and text messaging. Give your kids an assignment like writing a note to their grandparents once a month or after receiving a gift. 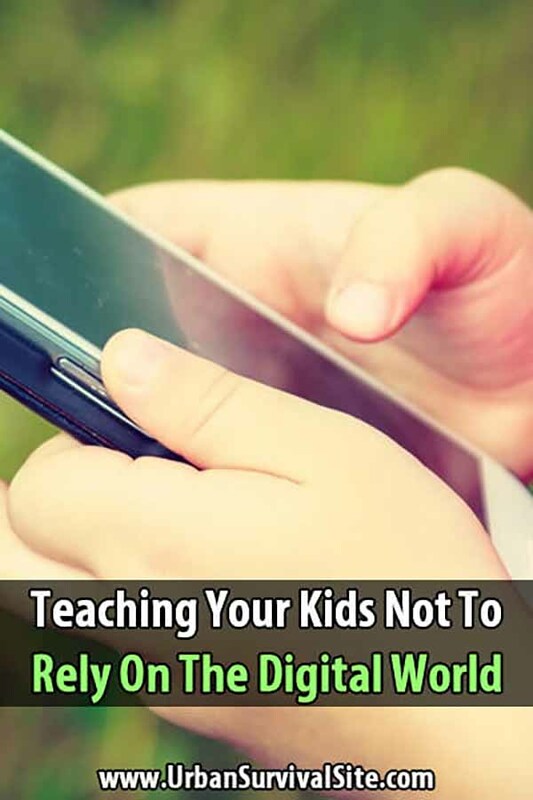 Personally I believe kids should not touch or use parents gadgets without expressed permission every time and for every activity. Skylar my 3 year old knows that moms iPhone is a tool not a toy. He has a leap pad which is his toy would you let your kids play with the landline phone or say in 50 yrs they start having games that are playable right from the surface of your debit card, would letting a child play with that and flash those numbers everywhere or possibly drop the card in the zoo admission line but a great idea? Skylar knows in emergency he can always use my phone for 911, but other than that he needs to ask. I told him that his tablet is just his and mom and dad and any future siblings will always ask him before touching it, so it’s only right that he does the same for our electronics.